Take the wheel and conquer the ever-changing terrain or sit back and enjoy the exhilarating ride. Outriders’ will show you the way through the true back country of Central Oregon. Drive through winding roads and spectacular lava flows. 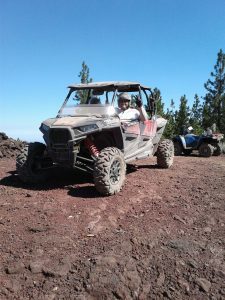 Head up and experience advanced trails to spot the wildlife and landscape of the lava flows with spectacular geologic features. The fresh air and beauty of Central Oregon will surround you. Come check out the fascinating terrain of The Deschutes National Forest! #goexplore!